Why did you choose your study abroad program? I chose my study abroad program because I wanted to know more about Blackness and Indigeneity from a Latin-America perspective. I come from a family of Indigenous Oaxacans from Mexico and in the Latinx community there is an obvious anti-blackness bias while the Indigenous peoples are perceived as “uncivilized” and “backward”. This was the perfect program for my interest and helped me unpack my own thoughts and feelings around identity, immigration, and community. We were a small group and this felt like the perfect size to me. I spent quality time learning and interacting with everyone and our professors always answered questions and made sure we were not only learning about Peru but also thinking critically about identity politics. What was something unexpected that you got out of the experience? From personal experience, I know racism exists in the United States, but I wanted to see how it looked like in Peru. Anti-indigeneity and anti-blackness are very real in Peru and knowing and understanding the racial history and tensions that exist helped me understand how a post-war nation deals with collective memory and trauma. While visiting the Afro-Peruvian town of El Carmen Chincha it was very frustrating to see women and young children selling dolls that had black skin but blue eyes. This kind of dichotomy between the expression of art and the political things that are happening in the community helps me understand and hopefully undo stereotypes in my own family and community here in Seattle. Did you have any concerns about studying abroad? My fear was picking a study abroad program that felt more touristy than educational. I have seen some of my peers being infatuated with the idea of studying abroad in an “exotic” location and coming back with pictures of animals and children or amazing foods they’d tried without learning much about the real issues affecting that country. However, our professors made sure that was not our experience and I’m grateful for their effort. As someone who doesn’t come from wealth, funding was another major concern. I applied and received the Global Opportunities Scholarship. 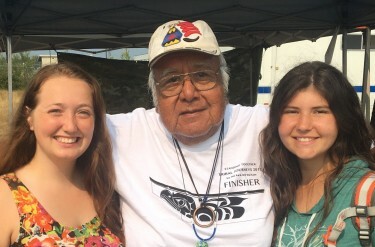 Despite being a first-generation college student and daughter of Indigenous immigrants, academic achievement and new learning experiences are possible even under the most unimaginable obstacles. How will your study abroad help you in your future career? As a womxn of color, I want to pursue a Master of Public Health and help bring critical thinking of race and ethnicity into the Public Health sector. I would like to advocate for the inclusion of Afro Latinx and Indigenous Latinx in the healthcare system because often these communities are ignored and continuously exploited. The study abroad program provided me the space and opportunity to speak freely and have difficult yet important discussions around race and politics and intersectionality. 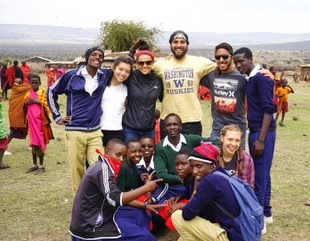 Studying abroad was my “big dream” when I got to the UW, but I wasn’t sure it would come true. I had lots of running start credits along with an A.A. degree when I got to the UW, so I was worried I might not have time to study abroad since my college experience was almost halfway done. However, Tory Brundage, my Brotherhood Initiative adviser, encouraged me to apply for the Dark Empire program. He talked about the opportunity as being a condensed program that would be great for anyone who wanted to get a small dose of experiential learning. The program fit with my schedule and was financially feasible, so I went with it. It examines facets of public health in context of Britain’s National Health Service and how Britain’s society intersects with social and cultural factors. Even though the focus of the trip was public health, the course also examined topics such as race, gender, sexuality, immigration and religion. The classes were discussion-based and involved learning tours of London and the Imperial War Museum in Greenwich. I knew study abroad was going have its share of culture shocks and I thought I was prepared as I had seen and learnt a lot about London and British society via the media. However, I was surprised by every facet of London. I was shocked at how different every little thing was — things I never really think about in America. For example, the streets are super tidy and there are set sides for walking on the sidewalk. There’s an abundance of public transportation options but you had to put out your hand in a very specific way to get the bus to stop for you! The fashion sense is conservative and lacks bright colors … the list could go on. My favorite part of the trip was observing British norms and seeing how much if it would rub off on me in the span of four weeks. The small details paired with the larger societal issues, like the socialized healthcare system and its intersections with social and cultural identities we learned about, made everything I interacted with a learning experience. One of my biggest worries with this trip was funding. Thankfully, through scholarships and financial planning with my parents, I could fund the trip and live comfortably while abroad. One day, we didn’t have anything planned, so we spontaneously decided to go to Buckingham Palace after class. We just caught a bus into London and saw that we were close enough to walk to the palace. Being able to see such an iconic piece of history with these new friends that I made was a memory that I will never forget. How will your study abroad help you in your future career (or other endeavors)? I’m interested in media writing, with the end goal being screenwriting. I feel the study abroad experience helped me better understand how media is a vital tool in learning about other societies and cultures. It is important to take the time to travel and explore the world outside of the ideological bubble one grows up in. I wanted to stay in Japan for an extended period and the direct exchange program allows for that immersive experience. I wanted a deep dive into the study abroad experience — the full enchilada, so to speak! I relished the idea of exploring a Japanese university on my own. My first choice was Keio University because it offers intensive Japanese language training which would help further my future career as a language teacher. Describe your program in a few sentences. I’m a program designed for foreign students. The default language of instruction is English, but I’m able to take several Japanese language courses as well. My favorite was the Japan-America Shared Histories class taught by Mukesh Williams. I attended that class on a lark, but stayed because of how knowledgeable the professor was. We also had the editor-in-chief of Japan Spotlight magazine as a guest lecturer. Now we’re featured in the magazine’s March/April issue! Attending Keio University has expanded my network. I knew the university was reputable, but didn’t realize it would provide the platform to interact with influential people in Japan. My connections have helped me find current employment as well as secure opportunities for future employment. My best advice for other students: be social and reach out because the people you meet in and around Keio tend to be well-connected and might play a role in your career development. My biggest concern had always been funding. As a self-supporting, low-income student I’ve worked all sorts of jobs while attending classes. My dad passed away when I was 18 and my mother is disabled and subsisting on state aid so there was no option for me to live with my parents to save on living costs. I started taking classes in Japanese after my interest in Japan and Japanese culture was rekindled (thanks to [Japanese manga series] Attack on Titan), and I ended up declaring Japanese as my major. Even then I didn’t think studying abroad was a possibility for me unless I got super lucky and won those all-inclusive scholarships that pay for everything. But then I talked to a study abroad advisor and learned there were lots of scholarship options available. So I set to work and put all my effort and explored every funding possibility. Thanks to scholarships, I made my dream of studying abroad a reality. I recently took a bike-and-train trip to Osaka where I decided to test their legendary reputation for friendliness. I was not disappointed! During my first day in Osaka, I walked from my hostel to a local restaurant for lunch. This was during the Winter Olympics and people were watching it on television. There was an elderly woman seated at a stool next to, me, so I decided to strike up a conversation. “Do you come here often?” I asked. She smiled and immediately engaged with me about the Olympics, US politics, and other topics. Since we were speaking in Japanese, the waitress noticed me (a foreign person) and decided she needed to get my contact information so we could have language exchanges. The elderly lady also asked her for my information because I guess everyone in the restaurant knew each other already! This experience had a deep impact on me because it helped me gain confidence in my Japanese speaking ability, in addition to experiencing such a warm and friendly culture. The most memorable class during my first year at the UW was The Craft of Verse with Professor Richard Kenney. I realized that poetry was something I wanted to pursue specifically as a writer. Professor Kenney wrote to me and recommended that I head to Italy next for the Writers in Rome program. As I had already promised my summer to Seoul, Korea, I had to put this idea aside for a while. However, immediately after getting back from that first study abroad experience, I knew I had to travel again. I submitted my application for the spring 2017 Rome program as soon as the application process opened. Also, my great-grandfather was Italian, and I’ve always wanted to do a deeper dive into that side of my heritage. Kevin Craft and Katie Ogle were the most incredible professors and went above and beyond anything I could have imagined. They gave the program a kind of energy and meaning that surpassed my expectations in the best ways possible. The classes are all rolled up into one journey through the streets of Rome and delve into the history, architecture, art, and poetry of the city. We writers walked everywhere with notebooks and pens in hand and put the city and how we experienced it into words as best we could. It was a creative adventure every day! Friendship. I wasn’t expecting to develop such a close relationship with not only my cohort of writers, but with my professors as well. We were truly a Roman family for those three months, and we still keep in touch today, a year on. Kevin and Katie were also an enormous help in my endeavors after graduation, from my first writing/publishing job to the one I have now as an English teacher in Korea. The biggest concern was the language barrier. Campus resources are useful, of course, but really the only thing that makes fears like that fade is experience, putting yourself out there—but also knowing that you aren’t alone doing it. Your classmates are also struggling with similar things, and your professors are there to help. Kevin and Katie helped us in so many ways, from the language to coursework to living situations to personal concerns or curiosities. They were invaluable, and my experience in Rome would have been so incredibly different had they not been there for us. A fond memory that springs to mind is our performance of Julius Caesar right on the bank of the Tiber River. White sheets and scarves served as our makeshift togas, and we bore kitchenware weapons to act out the whole play. The best part was when Kevin jumped in with a sparkly flashing tiara to play Caesar’s ghost — he was very good with the swaying and ominous tiptoe-stalking, and even made several passersby turn back to watch. How will study abroad help you in your future career? I’m currently an English teacher living and working in Seoul, South Korea — I loved being here during my first study abroad experience, and I knew I wanted to come back as soon as possible. Rome had an enormous effect on my life as a writer — I’m more a poet than I ever was before because of Rome, and it changed so much of how I look at and approach writing. It gave me my first taste of Europe as well, and I know that I want to go back, either to work or to continue my education in creative writing. Whenever I may feel like my life and work in Seoul is drawing to a close, I will definitely be looking for opportunities there. My initial intention was to go into business studies, but then I developed a strong interest in Human Centered Design. This was my first major exposure to engineering and the best part is it’s tailored for first-and-second-year students like myself who are exploring this discipline. 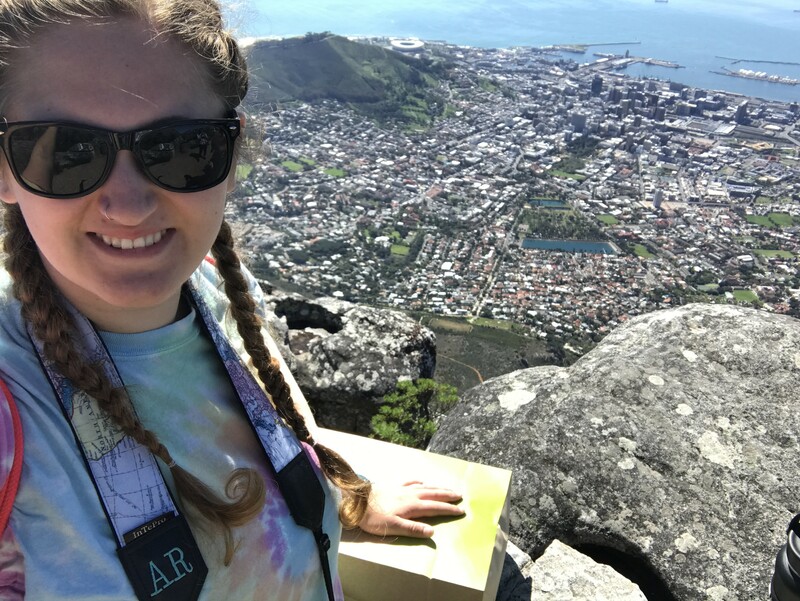 My study abroad experience is valuable because it will help guide my career path and interests for the next few years, but the experience would not be the same in a different country. Japan is one of the top influencers in terms of technology and as students we got access to award-winning faculty lectures and immersed ourselves in the local lifestyle and experienced first-hand how the culture informs their innovation. During daily lectures we tackled new engineering topics like disaster science, neutrino and material science but the weekly group competitions helped us apply our theoretical learning to actual projects. For example, during the paper plane competition not only did we have to design a plane that flew but also explain our thought process and techniques based on what we had learned in the classroom. We also had interactive Japanese classes that let us mingle with the local students and visit sacred mountain sites and learn about earthquake recovery efforts. Japan is one of the safest countries in the world with a very reliable public transportation system. This allowed me to navigate the city on my own without fear of getting lost or ending up in dangerous situations. This was huge for me! It allowed me to explore the beautiful Japanese countryside and compare it with city life. It was an interesting experience trying to balance my lifestyle and time as both a student and tourist! Did you have any concerns about studying abroad? How did you address your concerns? Being able to afford the program was a major concern for me. I utilized multiple resources – including UW Study Abroad and the Foster School of Business – to search for funding, thanks to the guidance of my advisors. We visited the Ishinomaki preschool, a new community effort to rebuild the school after the 2011 earthquake. We got to learn about the history and interact with local children. Each student was paired up with a child and we had to do a lot of prep work before the visit. We all had to learn the preschool’s nursery rhyme in Japanese, which the instructor made us sing repeatedly during the bus ride. The opportunity to immerse myself into another country and live in that culture — even from the perspective of an outsider — means I get to understand life from several new angles. These new perspectives will continue to help me grow into an empathetic leader. As a first-generation college student, I seek to boost this skill because I don’t just want to have a career. I want to be a passionate and outspoken leader in the fields that I choose to go into. I’m hoping to work in accessibility design and innovate ways to help those with disability, so they can use and interact with technology and change their lives for the better. 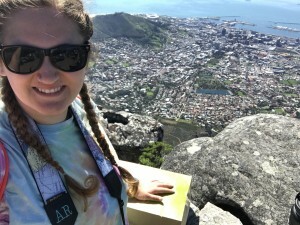 I chose to study abroad in Cape Town, South Africa for several reasons. The location seemed a bit more non-traditional than many of the other programs I have seen advertised at UWT and that was intriguing to me. I figured, when am I ever going to get the opportunity to go to South Africa again? It was also nice that the program tied closely to my major, Sustainable Urban Development, since there was a community development aspect of the curriculum. This made the decision much easier from the perspective of connecting the material to my education. I came home a different person than I was when I left. I grew up in a small town and was rarely exposed to poverty or witnessed racial discrimination. Because of this, I have gone through much of my life not fully aware of the obstacles which other people face on a daily basis. Going to Cape Town and seeing the conditions many people live in was a reminder of my own privilege and how fortunate I am to have a safe home with family and friends that love and care for me. This reality check wasn’t my reasoning for studying abroad, but it is probably the lesson I am most thankful for now. Did you have concerns about studying abroad? My biggest concern was leaving my family behind. Communication was challenging because of the time difference, and I wanted to let them know I was safe and sound. We eventually figured out a routine. I was also worried about paying for the trip. UW scholarships and financial aid reduced finance-related stress and allowed me to enjoy my time abroad rather than worrying. Being a Sustainable Urban Development major, it is important to keep in mind that sustainability means something different to different cultures. Cape Town has many shanty-towns which linger from the days of apartheid, and what works for them in terms of development is typically not what has worked for us in America. I was constantly reminded and challenged to think “outside the box” about the development process in Cape Town, since many people were forced to live day by day rather than planning for the future with sustainability in mind. This experience has prepared me to serve other communities and be mindful of their needs rather than my own in order to accomplish a shared goal. I wanted to learn more about my Native American culture and others cultures, and I wanted to travel. This program gave me the opportunity to travel while learning about my heritage. It helped me find myself through my culture. I was also worried about leaving the country, my home, and my family for the first time. I was nervous to be leaving for a month without family, or friends. It turns out I was not the only one with these worries, I ended up making friends along the way and tons of memories. Tell us about something unexpected that you got out of the experience. I made some unforgettable friendships with people from all over the place, and I learned life lessons. I choose to travel abroad to learn about the culture, but I walked away learning about the culture and myself. The canoe journey was a beautiful experience that showed me the true value of life. Study abroad gave me connections to tribal members from all over. I have close friends everywhere now, and these connections will strengthen my involvement at the UW with my First Nations club. In my future career, my experience abroad will give me a greater understanding of how to stand up for something as a group, and how to fight for what we believe in. It has also given me a sense of belonging. Going on the canoe journey gave me connections to people and the wonderful land, and also a greater understanding of Native American culture and the health implications we are facing today. The program was perfect for me because it helped me connect my two majors. It was all about considering social, financial and environmental impact. Studying abroad had always been a dream, because I knew it would have a big impact on me as a student and a person. My parents didn’t go to college, so they don’t have any experience with study abroad. They saw it as a financial burden because just my tuition is already a big burden. As a family, we decided that there was no way I could go on the program without a scholarship. It would have been too expensive for us. Having a scholarship helped me to have this great experience. One of our major projects was to write a grant for local farmers. We had to interview the farmers and be respectful of their time, and make sure that their needs were met. I pushed myself to understand things from their perspective. It was challenging to write the grant as a group, and make sure that we were accountable to the farmers. After having that experience, I saw that writing and applying for grants can really have a big impact on people in need. In the future, I would like to write grants for a living and help others through that work. I chose this study abroad program because I have always wanted to visit Africa. The other exploration seminars held during the same time were going to places I felt I could go anytime. Tanzania was not a country I would be able to visit on my own without any connections if I wanted to get a full immersive experience. Something unexpected is the friendship I made with the group I traveled with but also the students I spent time with in Emanyata. I am still in touch those the students at the school we stayed at for a week. My only concern about studying abroad was finances. I began applying for scholarships after talking to a Peer Ambassador at the study abroad office. I received a scholarship and got a revision in my financial aid that helped cover the expenses. I looked into all of the study abroad programs you can choose from, and this one was the best fit for both of my majors. It was very applicable to my engineering and sociology majors – we looked at the differences in technology use between the two cultures – and going to South Korea allowed me to explore my cultural background. It was a chance to go deeper with what I am studying. Also, the instructor, Matthew Saxton, is incredible. I speak Korean, but I didn’t know anything about the culture outside of TV shows. He connected us with many different aspects of Korean culture. My study abroad group bonded on a deep level. We went hiking on the most challenging trail I have ever experienced. There were students from all different majors. We found common ground, and I made many good friends. They are my family now. Before I knew I had the scholarship, I was really worried about studying abroad and I did not know whether it was a good idea to take out loans to cover the costs. I was even thinking about withdrawing from the program because I was so worried about finances. Receiving the GO! Scholarship was a confirmation to me that I should go ahead. Studying abroad helped me explore career options. While we were there, we took part in a research project. We had to collect and analyze research data, and present our findings at the end. My group looked at photo sharing content and behavior among U.S. and Korean students. We found that American students were more open with sharing, while Korean students were more private, but more research is needed. Sciences Po is one of the best schools in France to train people for public administration and public service. The educational environment was fantastic because I was able to take courses that aren’t offered at the UW. For example, I took a course about U.S. intelligence in partnership with European countries. I got first-hand experience with how influential and important the U.S. is in those countries. One thing that touched me was the historical aspect in Europe. I went to the place where the King of France would receive daily sacraments. Seeing the level of extravagance used on that space, when at the same time regular citizens of France were miserable. They were paying taxes but they didn’t get the services they needed, and that led to the French Revolution. This is something that I can identify with because I grew up in Haiti, which used to be a French colony. It showed me how necessary it is to fight for equality. I also realized that there’s still work to be done in Europe in terms of developing civic duty. As someone who is visually impaired, I saw people doing many things – like parking their cars everywhere and not picking up dog poop – that make it hard for people with disabilities to get around. But I learned to be more patient, more careful and to be respectful of new traditions and other societies. I had to budget carefully to go on my program. I had no option other than borrowing money. The scholarship helped me to borrow less money. That means I’ll be able to pay off my debt sooner and focus on my career in public service. My experience in France strengthened my desire to work at the State Department as a legal adviser or even a diplomat. When you study abroad, you learn about the bureaucratic system in a different country. I gained perspective on American systems and an outside perspective on how the U.S. is seen by other countries. This will serve me well as a public servant. I was aware of some great work that the College of Built Environments did in the Seattle community at the Veteran’s hospital. My uncle is a Vet, so it was interesting to me. 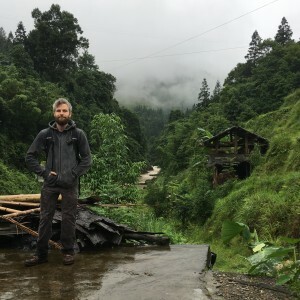 When I saw that the same professor was leading a trip to China to do a similar community design project, I wanted to get involved. I knew that studying abroad had the potential to help me understand the world around me and do good work, but I didn’t want to put myself into financial limbo. I wanted to be financially responsible. Receiving a scholarship reduced my worry. While in China, I worked with fellow college students from the U.S. and China to design and build a park from scratch. I had less design experience than many of the other students, and there was a language barrier. I had to find a way to contribute to the team. I realized that I had some experience with construction, which was really helpful. In the end, I also presented about our project to a group of local Chinese officials. Study abroad put me in a completely different environment, and my brain worked in new ways trying to take it all in. I picked up a lot of new skills for non-verbal communication that are helpful when you don’t share a language with someone but you want to connect and work together. I had an Australian exchange student live with me in high school for 6 months and we have remained in contact. I went to visited her for a mere 10 days last year, and I left feeling like I wanted to explore much more of Australia. At the University of Melbourne, I was able to take classes in performance psychology, creative expression, and music psychology. As a psychology major, these classes sparked my interest intellectually and creatively, and also expanded my knowledge of psychology. This knowledge will be very applicable to my future career in naturopathic medicine. Surf skills! While I’m still a complete newbie, the University of Melbourne Surf Club taught me so many different techniques, and I had a blast. I was worried about not having a solid group of friends and feeling lonely because of that. But to prevent that, on orientation day, they have a “clubs on campus’ fair, and I joined four clubs! 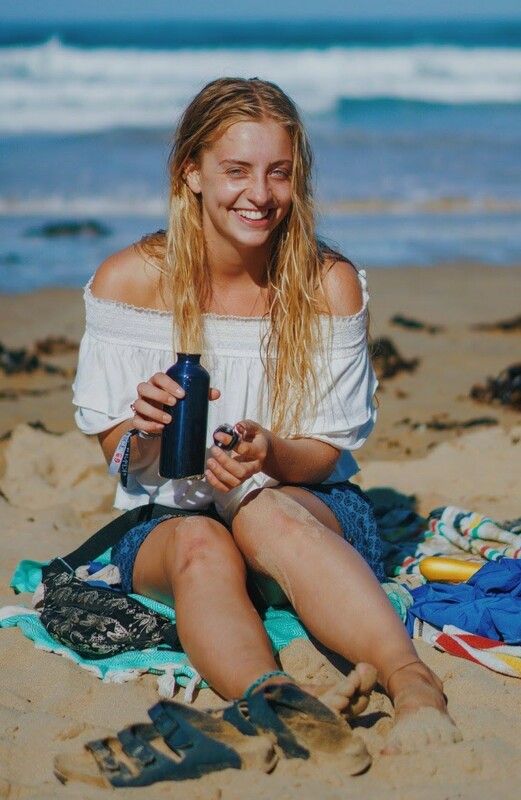 My most active involvement was in the UniMelb Surfriders, and Melbourne University Vegan Club. Packing up my life and moving all the way across the Pacific Ocean took a lot of determination and responsibility on my part. My parents did not help me through the process, so I had to be diligent with everything I needed to accomplish before, during, and after this semester exchange process. I believe I’ll be able to use the personal skills I’ve gained through studying abroad to demonstrate my determination and hard work to my future graduate program. My next step after graduation is applying for Bastyr University’s Doctorate of Naturopathic Medicine program. My program was really unique because we got to shadow nurses in rural and urban areas. The doctors and nurses that I met were so awesome and funny and welcoming. I loved having a person there to explain everything to me. I know sciences from my studies at the UW, but I don’t know medicine very well yet. I still keep in touch with one of the nurses I shadowed. She introduced me to all of the important people in her department. When I told her I want to be a surgeon she introduced me to the head of surgery. Going to India really made me embrace my American and Mexican culture together. Before I had always felt like one or the other. Studying abroad made me appreciate my culture and identity more. Even with two jobs, my parents have to work very hard just for simple things. They don’t have any money to help me with my education. Study abroad isn’t something that’s really in our plans and we don’t have money for it. Our money needs to go to basic things like rent and food. My parents want me to experience big things like study abroad, and it’s hard for them not to be able to give them to me. It’s nice to be able to apply for scholarships so that I can have these experiences and not put any more financial burden on my parents. Being there physically allowed me to engage in all of the emotions of the place. I got to have amazing hands-on experiences in India. But not only that, it helped me develop cultural competence, which is really important for healthcare providers. Sure, you could read about cultural differences in healthcare, but it was amazing to see it in person.